This is Part 3 of the ‘Where Are They Now?’ series. Hopefully you find this interesting! Hasn’t been able to make any real progress at SM Caen due to recurring injuries. Missed significant chunk of 2016/17 Ligue 1 season (August-January). Returned from injury in a 1-1 draw against SC Bastia in late January after playing and scoring in a number of reserve team matches in the French lower leagues, to regain fitness. Appeared in the Caen shirt four times following the Bastia game before picking up another injury which has kept him out of action again. Was fined €5,000 for driving without a valid license (Haitian, not French) and lack of insurance in January 2017 in relation to an incident behind the wheel of his Porsche in October 2016. As mentioned in his profile, Louis is referred to by some as the ‘bad boy of Haitian football’. Played for Haiti at the Copa America Centenario last summer – 90 minutes vs Peru (L 1-0) and Brazil (L 7-1) and 20 minutes vs Ecuador (L 4-0). Featured in four of his country’s 2018 World Cup fourth round qualifiers against Costa Rica away, Jamaica home, Panama home and Panama away, started two. Missed September’s batch of qualifiers due to injury. Scored a brace in the CFU-UNCAF playoff first leg against Nicaragua as Haiti secured a 3-1 victory on home soil prior to capitulating in the second, conceding 3 goals in the final 10 minutes to crash out 4-3 on aggregate. Scored the winning, clinching penalty that gave the 2016 Lucozade Sport Goal Shield title to Morvant Caledonia United in April. Returned to local competitive football in Guyana by signing with Alpha United on a loan deal from Caledonia in four months later. However, Alpha’s fall-out with the GFF resulted in the club withdrawing from the Elite League and being banned from competing in this year’s Caribbean Club Championship. Turned out to be a bad move for Schultz. Joined former club Fruta Conquerors on loan at the beginning of this year and helped them to finish in the top two of the Stag Elite League. Fruta will therefore play at next year’s Caribbean Club Championship. Came on against Curacao (L 2-5) and was an unused substitute against Suriname (L 3-2 AET) in 2017 Caribbean Cup qualifying. Played in 1-5 friendly defeat to Canada’s U-23s held in Georgetown in May last year. Was involved in Guyana’s solitary goal. Started in Guyana’s 0-0 friendly draw with Martinique in late March – the first international football played in Linden since 2011. Continues to be an important player and first choice right-back for Portland Timbers, who he won the MLS Cup with two years ago. Played 23 MLS matches in 2016 as the Timbers finished 7th in the Western Conference. Has played in every minute of every game so far this season, up until Sunday’s 3-0 defeat to San Jose Earthquakes. Told MLS cameras in August last year that “the best is yet to come” and “being patient” and “working hard” are necessary for him to improve even more. Was omitted from Jamaica’s Copa America Centenario squad, a year after falling out with Winfried Schafer and leaving camp just before the Gold Cup quarter-finals. Appeared in 4 of Jamaica’s 2018 World Cup qualifiers throughout 2016, started 3, as the Reggae Boyz finished bottom of their group with 4 points from 6 matches. Played full 90 in friendly against the US in Chattanooga earlier this year, facing up against club teammate Darlington Nagbe. Helped university team UWI Blackbirds to win the Barbados Premier League title in June 2016, beating Rendezvous by a remarkable score of 14-0 on the final day. Bailey scored in the 38th minute. Lifted the Lucozade Sport Goal Shield with Trinidad & Tobago-based side Morvant Caledonia United a couple of months previously, as Caledonia won 4-1 on penalties (2-2 AET). Bailey was given a straight red card in the second half, though, for a confrontation with Shahdon Winchester. Left for trials in the Indonesian Super League in August along with international teammates Mario Harte and Romario Harewood, but the trip unfortunately turned out to be a scam. Now based at army team Barbados Defence Force Sports Programme awaiting a try-out at semi-professional Northern Irish outfit Carrick Rangers. Rangers have been struggling defensively and asked Eric Lavine – a former Barbados international who played in the League of Ireland for over a decade – if he knew any Bajan centre-backs and recommended Bailey. Played full 90 in both of Barbados’ 2017 Caribbean Cup qualifiers – vs Curacao (1-0 W) and the Dominican Republic (2-0 L). The Bajan Tridents narrowly missed out on the next round on inferior goal difference. Played in three friendlies so far this year against Trinidad & Tobago (2-0 L), Martinique (2-1 W) and St Kitts & Nevis (2-1 L). Set to appear in the Windward Islands Championship, depending on whether Barbados enter or not, scheduled for later this month. Penned an MLS contract with the Seattle Sounders fist team in March 2016 following such an impressive 2015 USL season, which saw him net 4 goals in 16 appearances (7 starts). Made 15 appearances in MLS – nearly all off the bench – before sustaining a muscle injury in October and then another injury in the run-up to the Sounders’ MLS Cup triumph in December. Was told that option in his contract would not be exercised shortly after the MLS Cup. Has spent the last few months trying to rehabilitate a knee injury with a video posted online earlier this month by the club’s USL team head coach, Ezra Hendrickson, showing Anderson in a recovery session. Still unclear as to what exactly Anderson’s position with the Sounders team is and if he’ll be kept on when back fit. Continues to be a big part of the St Vincent & the Grenadines national team – was one of the few bright sparks in their ultimately disappointing 2018 World Cup qualifying campaign. Scored twice in 9-3 defeat away to Guatemala in September. Logged 1,526 USL minutes in a Harrisburg City Islanders shirt last season, scored a goal against Orlando City B and New York Red Bulls 2 respectively. Signed new two-year contract with City Islanders in January 2017 as a reward for his hard work since arriving at the club two years ago. Joined former club Portmore United in the Jamaican Premier League on loan shortly after signing new contract, to gain match sharpness ahead of City Islanders’ pre-season training camp. Appeared in 6 games so far this campaign, started 2. Scored once. Transferred from St Ann’s Rangers to Central FC at the beginning of 2016 after underlining his potential with the national U-20 team the year before. Won the TT Pro League and Caribbean Club Championship in his first season with the Sharks. Featured in two 2016/17 CONCACAF Champions League matches at home (0-1 L) and away to Vancouver Whitecaps (4-1 L). Came off the bench on both occasions. In September, Central’s Managing Director Brent Sancho said Corbin “has been improving” but he “needs to be a little bit more consistent“. Now playing his club football with San Juan Jabloteh, having helped them qualify for the final round of this year’s Caribbean Club Championship as they prepare to take on Racing FC and Portmore United in Group B. Helped Atletico Pantoja reach the playoff semi-finals last season as they lost 2-1 on aggregate to Cibao FC. Scored against his old side, Moca FC, in the run-up to the playoffs. Been impressing in the midfield three of a 4-3-3 formation under Venezuelan manager Lenin Bastidas so far this season, with Pantoja sitting top of the table with 18 points prior to their game vs Bauger FC on Sunday. Coolly dispatched a penalty to equalize vs Cibao before teammate Armando Maita notched a 92nd minute winner for Pantoja to take a 2-1 victory, avenging their defeat in the playoffs. 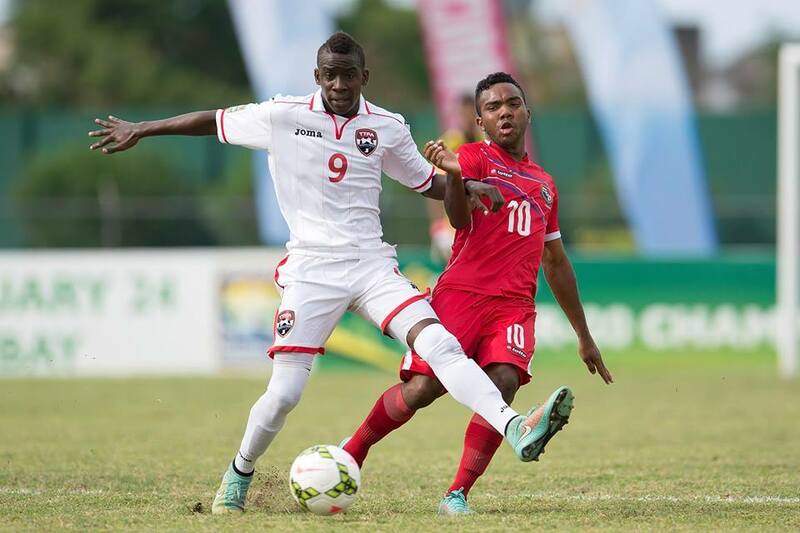 Was involved in his country’s 2017 Caribbean Cup qualifying campaign as the Dominican Republic reached the final round where they lost to Trinidad & Tobago (4-0) and Martinique (1-2). Played in two March friendlies against New York Cosmos, one for Pantoja (L 0-2) and another for the national team (L 1-5). Both games took place at Estadio Olimpico Felix Sanchez. Signed a USL contract with Toronto FC 2 a couple of months after being profiled. Had been adjusting to the North American game in the PDL, League1 Ontario and made several appearances in the USL during the 2015 season. Used predominantly off the bench as an impact player by Toronto FC 2 head coach Jason Bent. Picked up injury in May 2016 and was ruled out of action for three months, returning in a 1-0 loss to New York Red Bulls 2 in August. No longer with Toronto FC 2 according to Kurtis Larson, a sports journalist who covers Toronto. Was a free agent when profiled and signed a deal with Ridderkerkse Voetbal Vereniging Hercules (RVVH) in the lower echelons of Dutch football in February 2016. Coached at the club by Giovanni Franken, former Netherlands Antilles international and manager of Aruba between 2013 and 2015 (including 2014 Caribbean Cup qualifying cycle and 2018 World Cup qualifiers against Barbados). Fallen out of favour with Curacao as the team has strengthened in central midfield, bringing in the likes of Kemy Agustien and Leandro Bacuna. Appeared in a friendly win over Achilles’29 in September which was Remko Bicentini’s first game in charge since Patrick Kluivert left. Thank you for reading! Feel free to leave any constructive feedback in the comments box below. You can read Parts 1 and 2 here and here. Meanwhile, you can get in touch with me on Twitter, Facebook and Instagram.